Facebook reported strong second-quarter-2016 financial results Wednesday, with revenue up 59 percent year-over year and net income soaring 186 percent compared with the second quarter of 2015. The company reported revenue of $6.436 billion for the quarter, up 59 percent from $4.024 billion in the year-ago period. Revenue from advertising of $6.239 billion was up 63 percent from $3.827 billion in the second quarter of 2015. The social network said mobile ad revenue represented approximately 84 percent of total ad revenue for the second quarter, up from 76 percent in the previous-year quarter. The fastest growth regions for advertising revenue in the second quarter were the U.S. and Canada and the Asia-Pacific region, which saw growth rates of 69 percent and 67 percent, respectively. Facebook reported net income of $2.055 billion, or $0.71 per share, up 186 percent from $719 million ($0.25) in the second quarter of 2015. Facebook reported an average of 1.13 billion daily active users as of June 30, up 17 percent from the second quarter of 2015. 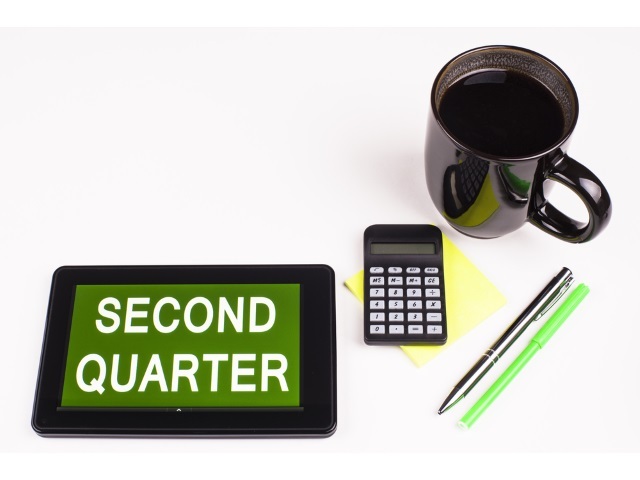 Mobile DAUs averaged 1.03 billion in the second quarter, up 22 percent year-over-year. Monthly active users were up 15 percent year-over-year, reaching 1.71 billion. Facebook reported 1.57 billion mobile MAUs as of June 30, up 20 percent from the year-earlier period. Time spent per person on Facebook, Instagram and Messenger increased by double-digit percentages year-over-year. There are now more than 60 million monthly active business pages on the social network. More than 1 billion people are using Messenger each month. Instagram has more than 500 million MAUs and more than 300 million DAUs. WhatsApp topped the 1 billion-user mark. More than 4 million 360 photos have been shared on Facebook since the feature’s June debut, with about 1 million being added to that total each week. Facebook users are searching across more than 2.5 trillion posts and conducting more than 2 billion searches each day. Facebook Lite, Facebook’s lightweight Android application for emerging markets, was used by more than 100 million people. More than 1 million people are using virtual reality technology from Oculus VR each month, via Oculus’ Gear VR partnership with Samsung, and more than 300 apps are available for Gear VR via the Oculus Store. Facebook said more than 85 percent of active business pages use mobile, and 40 percent of active advertisers have created Facebook ads via mobile devices, adding that more than 80 percent of new advertisers in the second quarter started off simple with products such as boosted posts. The social network also touted dynamic ads, saying that more than 300 million users see them each month, and more than 2.5 billion unique products have been uploaded by marketers. We continue to focus on our three priorities: capitalizing on the shift to mobile, growing the number of marketers using our ad products and making our ads more relevant and effective. People have shifted to mobile, and marketers know they need to catch up. Mobile is no longer a nice to-do, it’s a must-do, and we’re working closely with marketers to help them make this transition. The best marketers understand that people watch video differently in mobile feeds. The goal is to create what we think of as thumb-stopping creative, videos that grab attention in the first few seconds, even without sound. For example, to drive awareness for Sour Patch Kids Gum, Mondelez International targeted teens with non-chocolate candy interests. Working with VaynerMedia, Carat and the Facebook Creative Shop, it created punchy, 10-second looping videos tailored for Facebook and Instagram. The campaign helped the Sour Patch Kids portfolio beat sales benchmarks for the entire candy industry. We’re excited to bring more relevant video ads to people both on and off Facebook. In May, we expanded Facebook Audience Network to include video for brand objectives. This means that advertisers can place video, brand video ads, not just on Facebook and Instagram, but across a network of apps and sites. Our second priority is growing the number of marketers using our ad products. More than one-third of small and midsized businesses in the U.S. don’t have websites, and having a mobile presence is even more difficult and expensive. Creating a business page on Facebook is as easy as setting up a personal profile. This is why Facebook pages are the mobile solutions for many of the 60 million businesses using our products each month in the U.S. and around the world. We’ve made it easy for business owners to manage their Facebook page from their mobile devices. More than 85 percent of active business pages use mobile, and 40 percent of active advertisers have created a Facebook ad on their mobile device. In Q2, we rolled out new tools to make it easier for businesses to promote posts and track performance directly from the Instagram app. We’ve worked hard to make becoming an advertiser as easy as possible for these businesses. With just a few steps and for as little as a few dollars, businesses can boost their posts to reach more people. Simplifying our ad products is key to advertiser acquisition. More than 80 percent of new advertisers in Q2 started with simplified products like boosted posts. Once these businesses begin advertising with us, we make it easy for them to take advantage of even our most sophisticated capabilities. Our third priority is making our ads more effective and relevant. Our goal is to help our clients grow their businesses, whether it be moving products off shelves, driving online sales or building their brands. Our system constantly looks for the most efficient and effective way to drive these objectives. Businesses that want to build their brands need to reach a large audience with a compelling story, and they’re seeing strong results from immersive formats like video and Canvas ads. Businesses working to acquire new customers need to reach high-quality leads and convert them to actions. We introduced lead ads in Q1 to make it easy for people to fill out forms on mobile devices right from News Feed. In Q2, we made it possible for advertisers to retarget people who opened or completed a lead ad form. Businesses selling products are getting search-like return on investment from dynamic ads. Dynamic ads allow advertisers to upload their product catalogs and target people with specific products in real-time. More than 300 million people see dynamic ads each month, and over 2.5 billion unique products have been uploaded by marketers. In Q2, we expanded dynamic ads to Instagram and also launched dynamic ads for travel. For example, you can now advertise specific destinations and dates for hotel rooms. We’re pleased with the value we’re driving for our partners and the progress we’re making across our three priorities. With only a small fraction of our 60 million business page is advertising, we have a lot of opportunity ahead. We also have a lot of hard work to do to help businesses make the shift to mobile and to drive results for our clients. The social network’s ad load was a key discussion point during the question-and-answer portion of the company’s earnings call after market close Wednesday. Going back to the ad load, we have in the past heard some caution from you guys before in that area, and granted it was a few years ago and at a much earlier stage. But I guess my question is: If targeting continues to improve along with click-through-rate and then ultimately ROI, why does ad load have to become less of a factor going forward? On the ad load front, ad load is definitely up from where we were a few years ago. It has been an important driver of inventory growth. And really, I think one of the things that’s enabled us to grow ad load has been improving the quality and the relevance of the ads, as you’ve mentioned. And we’ve been be able to do that without negatively impacting the user experience. We do expect that ad load will be a less significant factor driving overall growth, especially after mid-2017. The optimal ad load is really a mix of art and science. We’ve carefully tracked the impact of ads on the user experience over the last several years. We aren’t seeing a cause for concern. We also want to be thoughtful about making sure that each person’s overall feed experience has the right balance of organic and ad content. And that factors into how we think about ad load and where that might ultimately be. And that’s really why we’re talking about our expectation that as you get into mid-2017, ad load will not be a big factor in driving overall inventory growth. We still see the opportunity to grow inventory from the growth of people and engagement on Facebook, as well as our other services like Instagram. Instagram does have a lower ad load than Facebook. About the ad loads, how are you deciding how many ads to show? Could you hold back a bit and drive higher pricing? How are you balancing that? And why not hold back a little bit more now for longevity there? We’ve talked about the different factors that go into it, obviously, just in driving the overall business–advertiser demand, which was particularly strong this period, and then also we matched that with supply. And the supply–the two big drivers are user and time spent and then ad load. And getting the balance and mix right is important, and clearly, how the pricing plays out is via the auction. And we’ve had a good balance of demand growth and supply growth, and that’s led to our good strong financial results and our ability to deliver very strong ROI to advertisers. So we think we’re in a good zone on the right ad load, and we do think there are opportunities to grow that modestly. But as we look forward into 2017, we think it’ll be a less significant factor driving inventory growth. But we still think there are opportunities to drive inventory through user growth and time spent. I don’t think we would think about necessarily dropping ad load to drive pricing. We’re also very cognizant of providing good value to advertisers, and getting that balance right is important to driving overall ROI, as well as obviously providing better targeting and measurement tools for our advertisers. What are the lessons you’re learning from seeing the growth of Snapchat and some of the other newer networks, particularly among young people? And obviously Facebook is continuing to do well but these things are growing. And then second, related to video, what are the key problems that you really think you need to solve for consumers and video producers, and how is Facebook going to evolve to help solve those problems? Sure. And they’re related. So, overall, people are spending more and more time on mobile, and that means that there are always more services that people use, whether it’s YouTube or there’s some really interesting ones with younger folks, especially like musical.ly and live.ly that I think are pretty interesting as well, and Snapchat, which you mentioned. And part of why I think you see this is that there are just so many different ways that people want to share so many different kinds of content, ranging from text to photo to video, just richer and richer and more immersive content. And also there’s a range from private one-on-one type sharing to small groups, all of your friends at once, large interface communities and then ultimately fully public. And there are different apps that explore different regions of that space and do a good job with it, and offer ideas that I think the whole market needs to learn from. Right now, the big theme and strategy that we’re executing is that we’re going to become video-first. And what I mean by that is that there’s this trend where 10 years back, most of what you saw and shared online was text, and then we went through a phase where most of it was photos. And we really believe that–and call it five years, or whatever the period of time that it takes to get there–I think most of what people consume online is going to be video. And that means that there needs to be a whole range of new production tools and consumption experiences for enabling that. For production, I think that means that you need to get the camera experience, and the experience for capturing and uploading videos that you’ve captured to be much better in a more central part the of the experience. On consumption, there are innovations that we’ve had like auto-play in feed, but what’s the next version of that, that makes it so that people can have an even more native and default video experience when they’re in News Feed, as well as private areas like Messenger and WhatsApp? So I think you’re going to see this across all of our apps–more focused on producing this kind of content, and making it first class to consume as well, both in private and public context. And I think that that’s just a big trend across the market, and one of the big things that if we get right, I think it’s going to unlock a lot of sharing and opportunities. How far away are you from commercial search on Facebook being viable? Why can’t you do that today? And how big of an opportunity could commercial search be? When we talk about our strategy, I often talk about how when we develop new products, we think about it in three phases: First, building a consumer use case; second, making it so that people can organically interact with businesses; and third, on top of that, once there’s a large volume of people interacting with businesses, give businesses tools to reach more people and pay, and that’s ultimately the business opportunity. So, I’d say that we’re around the second phase of that in search now. We have a pretty big navigational use case where people look up people and pages and groups that they want to get to and look at in search. One of the big growing use cases that we’re investing a lot in is looking up the content in the ecosystem, and that is an area that we’re very excited about, which helps people find more content. But certainly, there’s a reasonable amount of behavior in there which is looking for things that, over time, could be monetizable or commercial intent. And at some point, we will probably want to work on that, but we’re still in the phase of just making it easier for people to find all the content they want and connect with businesses organically. We’ve released the Messenger platform M bot in the last six months–F8 was the big announcement there. And I think since then, I think we’ve announced we have more than 10,000 bots in the system, which are basically making it so that different businesses can build automated ways to communicate with people. The way we think about this experience is that, qualitatively, I don’t know a single person really who wants to call a business to get support or interact with it, whether that’s trying to get a reservation for a restaurant or getting customer support or calling to buy something. And those are slow interactions. They’re synchronous. They consume your whole attention while you’re doing them. And if we can make it so that you can have some of those interactions in an automated way where you fire off a text and then just get a response back quickly, but asynchronously so it doesn’t take up your full attention, then I think that’s going to be a much better experience that people really enjoy and like.